Welcome to the final Matt on the Box before football completely dominates our screens and there's no proper TV for about a fortnight. 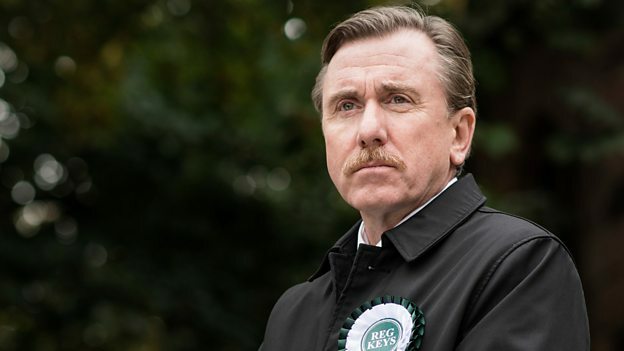 BBC drama provided the big highlights of the week starting off with a new film from Jimmy McGovern in the form of Reg. The Reg of the title is Reg Keys (Tim Roth) whose son, a military policeman, was one of six men killed by a mob in a police station in Iraq in 2003. The first part of McGovern's film, which was co-written with Robert Pugh, looks at the devastating grief suffered by Reg and his wife Sally (Anna Maxwell Martin). The film's depiction of grief was spot on as Reg and Sally struggle to hold conversations with Tom's colleagues from the army and various family members. But the more interesting part of Reg's story came in the second half of the ninety minutes when he decided to pursue Tony Blair after learning that his son died in war that was fought under false pretences. In 2005, Reg agreed to run as an independent candidate against Blair in his constituency of Sedgefield and was aided by campaign manager Bob Clay (Ralph Brown). McGovern and Pugh didn't hold back on portraying everybody's views towards Reg's running in the election with some of Sedgefield's residents arguing with him rather than supporting him. It also looked at how the campaigned sidelined Sally as Reg was off campaigning whilst their younger son Richard (Elliott Tittensor) decided to stay in the army. Things eventually came to a head between Bob and Reg after the former failed to inform the latter of Sally's being taken to hospital before he took part in an important interview. But this fall out was only served to be a brief diversion in the action and eventually the rest of Reg's family convinced him to continue fighting Blair. This led to a tense final sequence on election night in which Reg found out that he needed to get enough votes to come at least third in the race in order to speak up against Blair. Although he narrowly failed to get enough votes, the returning officer (Kevin Doyle) allowed him to speak anyway which led to him finally being allowed to address Tony head on. This final speech to me was the highlight of what was a hard-going ninety minutes and it felt like the point of the story that McGovern and Pugh were trying to work towards from the start. I have to admit that I was incredibly moved by the speech and it added to my admiration of the man who I'd learnt about throughout the drama but at the same time it was the only part of the film that really elicited any sort of reaction from me. Before I begin to criticise McGovern's film let me just say that I think what Reg Keys did in 2005 was marvellous and I feel he and his entire family need their story telling. Indeed one of the positives of the film Reg was that I learnt about this extraordinary man and his wonderful family who began fighting for what they believed in. But having sat through the entire ninety minutes I'm not sure whether a feature length drama was the right way in which to tell Keys' story. I personally found myself drifting off during several parts of Reg and felt that several scenes dragged on longer than they should have done. Although I did enjoy the way Reg portrayed the monotony of grief I felt the scenes before the election race began were strung out for far too long. Whilst the action did pick up significantly in the second half of the drama it still felt drawn out and I didn't feel I needed to see as much door-to-door canvassing as I did. Unusually for McGovern some of the dialogue was a little bit clunky especially when it involved the interactions between Bob and Reg. By the time the film had ended I'd come to the conclusion that Reg's story may have been better told via a well-directed documentary in which we got to hear from Reg and Sally in their own words. Although I wasn't a fan of the way the drama was structured or some of the dialogue one thing that I can't fault at all was the brilliant performances from Tim Roth and Anna Maxwell Martin. Roth was extremely engaging from beginning to end and I felt he perfectly captured Reg's conflicted emotions throughout the film. I felt he was particularly strong in the film's more silent moments although I also enjoyed the scenes in which he had to stand up for his beliefs whilst on the campaign trail. Furthermore I don't think I would have been as moved by the final speech if it hadn't been for Roth's passionate delivery of the lines. Meanwhile, as Sally, Anna Maxwell Martin shone in a handful of scenes in which she almost stole the spotlight from Roth. It was a shame that the second half of the story sidelined Sally as I would like to have seen more from Anna Maxwell Martin although she did get one more moment in the sun in which Sally convinced Reg to continue his campaign. Overall I would say that while I thought the performances were superb, as a drama Reg just didn't work for me and I wasn't engaged as much as I should have been. So whilst I think Reg Keys' story needed to be told I don't think a ninety minute drama was the way to do it even though it was clear that McGovern had a tremendous respect for everything his protagonist went through in the run-up to the 2005 election. More drama now this time of the purely fictional variety as we welcome Anthony Horrowitz back to the small screen with New Blood. The first episode of the author's new crime drama introduces us to Stefan Kowolski (Mark Strepan) and Rash Sayyad (Ben Tavassoli) a pair of mismatched police investigators who look set to become partners as the series progresses. However this opener, the first of a two-part story, looks to tell the tale of how Stefan and Rash get together despite their obvious differences. Rash is portrayed as a well-meaning PC but somebody who has failed to rise through the ranks due to his inability to hide his obvious intelligence from his fellow officers. But after impressing a superior during a murder investigation, Rash is given a trial spot as detective alongside the cynical DS Sands (Mark Addy). Meanwhile Stefan, who works for the Serious Fraud Squad, is working undercover at a dodgy pharmaceutical company in the hopes of bringing down a dodgy doctor. Both Rash's murder investigation and Stefan's undercover operation are linked to a drugs trial in India that went awry six years earlier with those who took part in the trial slowly being killed off. Even though I'm yet to watch episode two I've watched enough crime dramas to join the dots to work out exactly where this first instalment of New Blood is going and the predictability of the show is just one of its negative features. In fact whilst watching New Blood I was reminded of the woeful The Interceptor which aired around this time last year and felt equally as slapdash. Whilst New Blood isn't on the same level of awfulness it still has the feeling of a drama that BBC One have decided to stick on during the summer as it doesn't have a lot of faith in it. In fact the most damming thing about New Blood is that it was all quite forgettable with even the dramatic set pieces failing to stay long in my memory. Of the two newcomers in the central roles I found Tavassoli at least bearable as the ambitious Rash but Strepan just came across as smug throughout the first episode and I was far too distracted by the fact that he looked a lot like Will Young. Thankfully New Blood boasts a strong supporting cast including Mark Addy, Anna Chancellor and Mark Bonnar all of whom add a bit of credibility to a drama that lacks in droves. 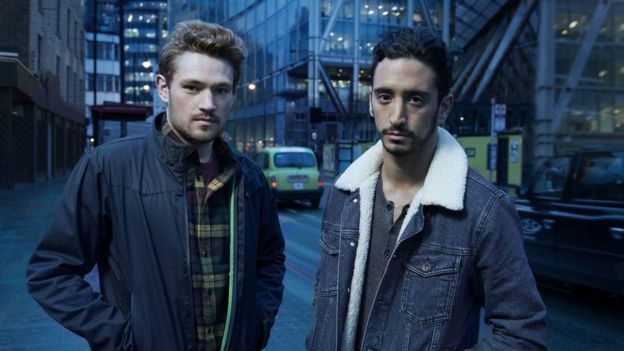 Whilst New Blood may well improve as it goes on I'm afraid I'm not going to stick around to find out and I don't think I'll be any worse off missing seven episodes of bickering and crime-solving from Stefan and Rash. Two new comedies also kicked off last week and we start by looking at Channel Four's new satirical sitcom Power Monkeys. Just like with last year's Ballot Monkeys, writers Andy Hamilton and Guy Jenkin have worked on their script up to the day of transmission to include as many topical gags as possible. Another similarity between the two shows is that we follow four camps of people with Ballot Monkeys concentrating on the four major parties going into the 2015 General Election. But as this show focuses on the EU Referendum there is only really two campaigns to focus on namely the Vote Remain and Vote Leave groups. Although I do feel that there was probably enough material to focus on just these two groups, I think to keep up the pace that made Ballot Monkeys so enjoyable Hamilton and Jenkin added two more parties just to keep things going. Those parties are the team behind Donald Trump's presidential run as well as two members of Vladimir Putin's staff. I do feel targeting Trump and Putin is quite easy but a lot of the jokes about these two men have already been made elsewhere and I don't think that the writers really had anything new to say about them. So while these segments were funny I think the running joke about Trump not allowing any female journalists to interview him was quite cliched and was done to death. The more interesting parts of the episode involved the two sides of the referendum with the vote leave campaign headed up by the returning Gerry (Andy Nyman) who was working alongside the ultra-patriotic Spencer (Kevin McNally), the focused Preeya (Archie Panjabi) and young labour supporter Jackie (Gwyneth Keyworth). On the other side of the fence was Oliver (Jack Dee) whose offensive jokes were getting on the nerves of his colleague and fellow remain campaigner Sara (Claire Skinner). It was the interplay between McNally and Panjabi and Skinner and Dee which provided the central highlights of this first episode of Power Monkeys primarily as both sets of performers bounced off each other perfectly. I have to say though I was a little disappointed as I expect a lot more from Hamilton and Jenkin and I feel that Power Monkeys lacked the focus that Ballot Monkeys possessed. That being said I'm going to stick with the show for now as I'm a fan of the majority of the cast and have loved the writers ever since Drop the Dead Donkey. 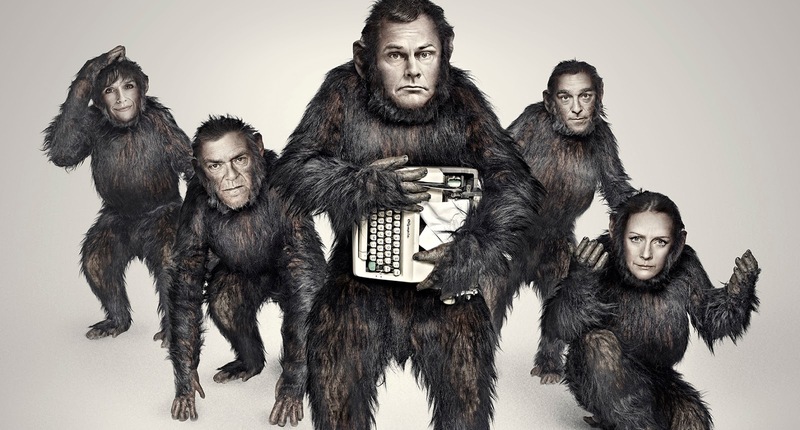 But I'm just hoping the quality of the episodes improve as I would say that the first episode of Power Monkeys was simply a little lacking in big laughs and that's not what I expected from the follow-up to one of the funniest sitcoms of last year. One sitcom I won't be sticking with is Sky One's Agatha Raisin and in fact I'm surprised I made it through the first episode. I have to say I didn't have a lot of knowledge of the central character played by Ashley Jensen as I missed the pilot episode 'The Quiche of Death.' But I was intrigued enough to give the first episode partly as I believed it to be a pastiche of Agatha Christie whodunnits and Midsomer Murders-esque small town crime shows. How wrong I was, as instead of giving us a gentler A Touch of Cloth, writers Stewart Harcourt and MC Beaton seem more focused on concentrating on their heroine's love life. From what I could ascertain from this first episode Agatha was a rather ditzy PR woman who people believed had a good ability to solve crimes. However a lot of what happened in this instalment saw Agatha stumbling around in the dark for the majority of the time before realising that the answer was under her nose from the outset. In fact Agatha's main aim throughout the episode seemed to be to snag James Lacey (Jamie Glover), the attached man of her dreams who was posing as her husband as part of an undercover operation to root out the murderer of the head of the local rambling society. I personally feel as if crime shows such as Midsomer Murders are in need of some sort of spoof but Agatha Raisin doesn't even attempt to do that. I found it instead to be a strange mix of crime drama, romantic comedy and full on slapstick humour with none of these elements really being given time to breathe. In fact I would go as far as to say that the funniest sequence in this first episode of Agatha Raisin was the sequence in which Agatha was trapped inside a Wendy House with several other characters. It's a shame that the show is such a dud as I'm a fan of Ashley Jensen but she's ill-served here by a rather annoying character and a poorly written script. The rest of the cast don't fare much better with Matthew Horne being given a one-note character as Agatha's camp assistant from London. In fact it's only Katy Wix as Agatha's formidable cleaning lady Gemma who's able to rise above the awful material and produce something vaguely resembling comedy. Apart from Wix's performance there's very little positives that I can bestow on Agatha Raisin and between this show and Rovers it seems that Sky One has currently gone off the boil when it comes to producing decent comedies. Finally, as we've had at least two days of sunshine it seems that summer is officially here and with it we herald in the seasonal tradition that is a new series of Big Brother. However it appears as if Big Brother isn't the draw it once was with Channel Five drawing in their lowest opening night ratings since they bought the format from Channel 4. In my opinion Channel Five have never really got to grips with the simplicity of Big Brother and they haven't really produced a civilian series that I've truly enjoyed. I feel the primary reason for this is that Channel Five try to fiddle with the format too much which is evidenced by the fact that this year the team had constructed a whole new house that sat alongside the more famous abode. This inhabitants of this house were known as 'The Others' whose job it was to mess with the housemates' heads and earn housemate status themselves. This group of six were definitely the most obnoxious bunch and included familiar faces such as X-Factor reject Ryan Ruckledge and brothel madam Natalie Rowe. It does seem that this year's casting process for Big Brother involved the casting team ringing around modelling agencies and contacting people who've previously appeared on other reality shows. That's because the main house includes Marco Pierre White's son, Lateysha Grace who's known to some from MTV show The Valleys and Andy West; a former BBC reporter who was let go after he made comments about Tyson Fury's inclusion in the Sports Personality of the Year shortlist. Basically Channel Five's version of Big Brother is a million miles away for the original incarnation of the show which saw normal folks live together for a couple of months in the summer. Whilst I appreciate that the show has to evolve over time, this most recent series seems to completely change the format with at least half the house already finding themselves in the media spotlight at some point or another. 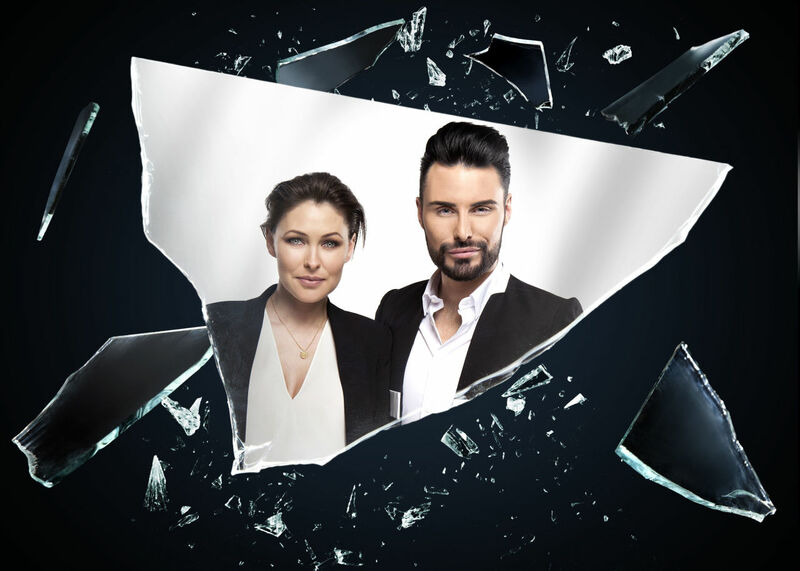 The only shining light in this woeful series is the delightful Emma Willis whose love of the show is easy to see through her easy-going presenting style. Other than that I believe that the ordinary version of Big Brother has really run its course and that Channel Five should purely concentrate on producing two celebrity-centric series of the show a year. But as long as the channel rakes in the Big Brother's most devoted of fans then this version of the show won't be going anyway which is a shame as it really is a shadow of its former self. So that's your lot for the time being and at the moment I'm not quite sure when I'll be back but if you follow me on Twitter @mattstvbites you'll be able to find out.